Every vehicle owner wants to extend their car’s engine life for as long as possible—and to ensure optimal performance along the way. To meet those goals, consistent automotive maintenance is required. Sometimes, that’s as simple as getting the wheels aligned, the fluids checked, and the oil changed. In other cases, though, your engine may have more serious issues that require a more complex repair. Fortunately, your vehicle will let you know when this is the case, specifically through the display of its Check Engine light. In order to have your engine needs diagnosed and corrected, visit our techs at Meineke #2251 in Fort Lauderdale, FL. What causes the Check Engine light to come on, exactly? It could be any number of serious issues with your engine, and it’s typically something that needs to be addressed sooner rather than later. The Check Engine light will also trigger a diagnostic code, which spells out the problem in greater detail. Our technicians at Meineke #2251 in Fort Lauderdale, FL can run the tests needed to decipher that code. We can then tell you exactly what’s wrong with your engine. And, we can advise you on the steps you need to take to have the problem addressed. Usually, we can do all the repairs right here in our service center. But what could the Check Engine light mean, exactly? It could be any number of issues, some of them quite serious—like problems with the fuel tank, the transmission, or the electrical system. While it’s safe to drive your car to Meineke #2251 in Fort Lauderdale, FL to have the diagnostic tests run, you don’t want to delay. The longer you leave your Check Engine light unaddressed, the more likely it is that the problem will get worse. When you bring your vehicle into Meineke #2251 in Fort Lauderdale, FL, a diagnostic technician will uncover the true cause of your Check Engine display. In some cases, we may want to run some additional tests or visual inspections to make sure we know what’s going on. 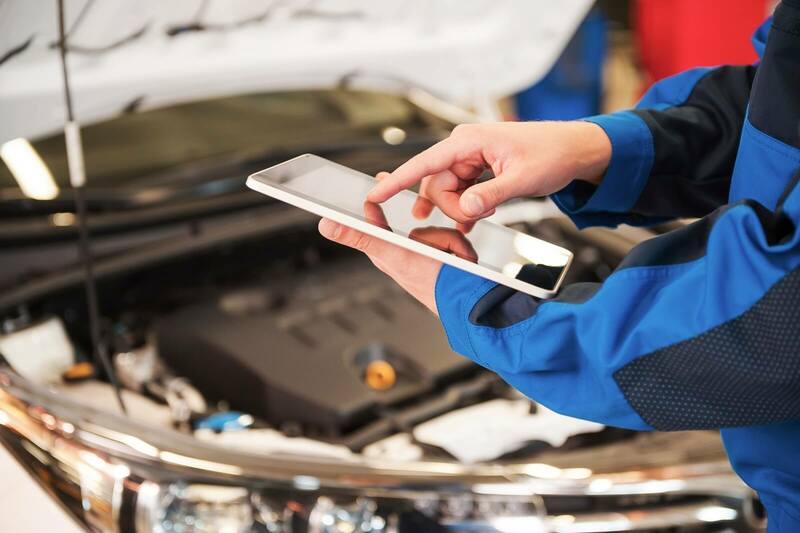 We’ll explain to you what’s wrong with your engine, and we’ll tell you what needs to be done to correct the issue and get the Check Engine light turned off. The ultimate goal is to get your vehicle back to running the way it’s supposed to, and to extend its lifespan as much as we can. We’re here to help you get your Check Engine issues diagnosed. We’re here to run any additional diagnostic testing you need. And we’re here to help you have any necessary repair work done. In addition to all of that, though, we’re here to help you save money! Start by visiting our Coupon page, where we regularly offer discounts and promotions. Then, remember to call Meineke #2251 in Fort Lauderdale, FL the next time you need a diagnostic service performed on your vehicle!